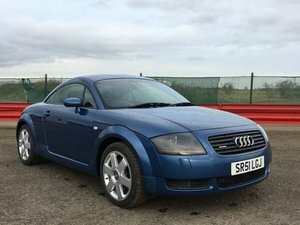 2009 '09' Audi TT 2.0 T FSI, 50,000 miles with excellent service history including cambelt A stunning motor car which has covered 50,000 miles with a very comprehensive service history, previous services are recorded at 7537, 15618, 21144, 22262, 24678, 27426, 28734, 31029, 33096, 45083 and 50416 miles, all carried out by Audi except the last two, cambelt change and water pump were carried out by Audi. The car drives beautifully, just as you would expect with such fastidious maintenance history and offers very responsive performance whilst returning excellent fuel economy. 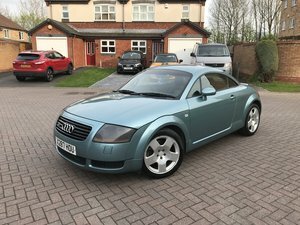 This car is immaculate throughout and really must be seen, finished in very eye catching brilliant red with unmarked ebony suede and alcantara upholstery, we have taken this car in part exchange from a most meticulous elderly owner who preferred our Automatic Audi TT. The car was washed and polished after every use and presents exceptionally well both inside and out, even under the bonnet. 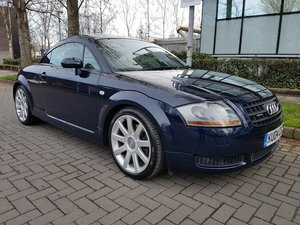 Specification includes climate control air conditioning, Audi Concert stereo system with CD/MP3 and Aux input, electric rear spoiler, flat bottomed Audi sports leather steering wheel, chrome fuel filler cap, electric windows, electric mirrors, heated mirrors, headlamps washers, remote central locking, alarm, immobiliser with remote boot opening, front and rear fog lamps, trip and fuel computer, ISOfix child seat mounting points, multiple air bags front and side, electronic traction/stability control, 17 inch 5 spoke alloy wheels. The carpets are protected by a full set of Audi carpet mats. Steering wheel adjusts for height and reach, seats are also height adjustable. Supplied with both original remote locking keys, original book pack containing owners manuals, stamped service book etc. The car will be inspected and prepared by an independent specialist and supplied with a new MOT with no advisory notices. 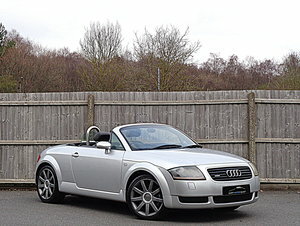 All our cars are hand picked, low mileage, low ownership examples with full service history. We only buy the best. Part exchange considered. Nationwide delivery available. Deposits accepted over the telephone. We are a family business established over 30 years, Rolls Royce and Bentley specialists. Up to 50 cars stocked, all indoors, viewing by appointment. 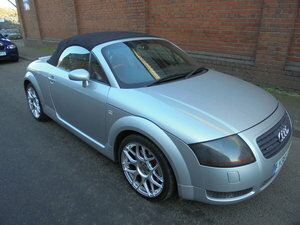 Over 30 full screen images on our website : www.ClassicCarWarehouse.co.uk N.B. All our vehicles are stored indoors in a secure facility and it is not possible to view our cars when we are not there. 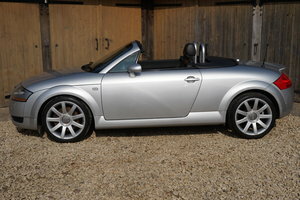 We travel extensively sourcing and collecting cars so all viewings must therefore be arranged by appointment, thank you.